Mayor’s Secret Bat Cave Location Revealed to the Public – Police Scared! The address of the Mayor of Richmond’s top secret bat cave was revealed by the Wingnut Anarchist Collective in a scathing online post, encouraging writing of letters, legal protests and explicitly discouraging illegal actions. Richmond Police have responded to the imminent threat of letters and demonstrations by increasing their rounds near the Mayor’s house tonight. 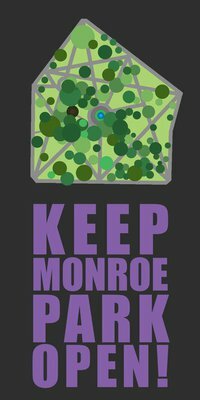 Apparently the 400,000 dollars spent annually to protect the Mayor is not enough to combat the potential guilt or discomfort he might feel if being called out for his actions to privatize Monroe Park and put at further risk some of Richmond’s most vulnerable citizens. Members of the Wingnut Anarchist Collective are meanwhile enjoying cookies in bed and mixing beats on the rainy evening. Most likely in a highly threatening manner… like chewing with their mouths open. The arrival of news crews to talk about this imminent threat disrupted the malicious naps of their adorable dogs. If we didn’t know better it would seem as though the Richmond Police Department was wasting time and money to try and manufacture a threat that does not exist, and distract the public from information regarding the bad neoliberal practices that the Mayor and City Council are pushing forward. 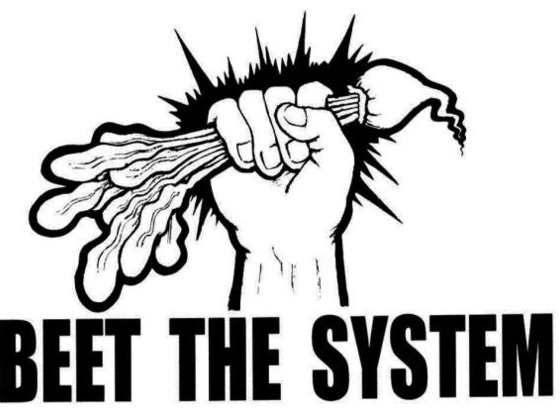 Intimidated by getting involved in local politics? Not sure what to expect from a meeting? This guide will help you be prepared! Editors Note: This is an anonymous submission which was sent to one of the Wingnuts. The anonymous author sent it to several Council members and news outlets. We heard that at least one local magazine would not oublish for fear of financial retribition. I apologize for the anonymity. Lots of pressure going around. Sending this to all Council members. Thank you for your consideration. I am writing you this afternoon because we are at a major crossroads in the great city of Richmond. In the next couple of weeks you will be asked to vote on a variety of issues that will weigh very heavily on the future of this city and the people within it for many decades to come. While there are a variety of different development projects including the Revitalize RVA proposal, the Brown’s Island Amphitheater plan, and the ongoing management of Monroe Park on the table for you to soon vote on, there is a much more serious civic situation that you have the heavy burden of addressing. The yay or nay ballot that each of you will cast in regards to Mayor Jones’s Shockoe stadium proposal will be a vote on much more than whether or not to build on a historic site in Shockoe Bottom: It has now become a yay or nay vote to validate a model of how business is to be conducted by both non-profit organizations and well-funded commercial enterprises in the City of Richmond. Over the past 4 months since Mayor Jones’s initial announcement of the RevitalizeRVA plan, his conduct, as well as that of Venture Richmond and LovingRVA, have been questionable at best (and spinelessly manipulative at worst) to both the democratic process and the non-profit model that has been at the heart of much of RVA’s lifestyle and cultural expansion over the past 3-5 years. On the surface it may appear that there is a large amount of support in the form of Facebook “likes” and signatures from both the commercial and non-profit sectors of the city for this plan, the reality is that many of RVA’s small businesses are being kept in a silent, financial stranglehold around raising any questions or concerns around the RevitalizeRVA plan. Because many of our city’s non-profit organizations receive funding from major corporations such as Capital One, Bon Secours, and Altria there has been a passive aggressive mandate issued that if you want to keep receiving funds for your organization that you most “go along” with the stadium plan or risk losing some level of funding for your organization. This has been echoed by a number of different employees across many sectors under the cover of anonymity for fear of fiscal retribution. Many of these organizations know that building another recreational facility is not in the best interest of the city. Regardless of the mayor’s blind eye to the educational issues in RVA’s currently rock-bottom education system, most RVA taxpayers overwhelmingly agree that our schools and infrastructure across the entire city are the immediate priority, not recreational sports and an illogical design that puts a hotel (typically consider a place for rest and relaxation, no?) right next to 7,000 screaming fans and fireworks going off at 9:00 at night. It doesn’t take a civil engineer to understand the problems around that and the many other shoddy details around financial liability and infrastructure assessments for this project. But alas, nothing can be said by many local organizations about that for fear of losing much needed funding dollars and threats of being “white-listed” from certain opportunities regardless of if this deal is successfully railroaded through or not. That is a detrimental and n unfavorable situation for businesses, their employees, the city, our culture, and the democratic process as a whole. Feb. 10 – Tell City Council No Tax Exemption for Venture Richmond! Please come out to Richmond City Council on February 10th at 6pm at City Hall to speak out against giving Venture richmond a real estate tax exemption. Venture Richmond is a massive “non profit” heavily involved in lobbying for gentrifying plans to benefit developers and the wealthy, without helping the people of Richmond. They are currently involved in the Revitalize RVA which plans to waste almost 80 million tax oayer doklars on a baseball stadium and development which will benefit private developers and is not wanted by the people of Richmond. The letter below by Charles Pool has an excellent break down of why Venture Richmond deserves no breaks from the tax payers of Richmond. They have more than enough money and too little regard for the citizens. If you want to file a complaint against Venture Richmond with the IRS, please do. IRS form 13909 Tax Exempt Organization (referral) Complaint Form. 1). The City Council has a moratorium on granting tax exemptions by designation. Venture Richmond submitted this application in 2012, and Venture Richmond failed to meet the deadline of April 8, 2013 , as established by City Ordinance 2013-19, for introducing an ordinance exempting property from taxation by designation. 2). State code requires that City Council consider whether the non-profit applying for tax exemption engages in substantial lobbying for legislation. According to Venture Richmond, it has spent the substantial sum of at least $32,000 lobbying for the Mayor’s Shockoe Stadium proposal. The Mayor is President of Venture Richmond, and Venture Richmond has been engaged in substantial lobbying for the Mayor’s legislation. 3). State code also requires that City Council consider whether the executive salary of the non-profit is reasonable when considering an organization’s application for tax exemption. Venture Richmond Director Jack Berry receives a salary of over $240,000 annually, according to IRS filings. If Venture Richmond can afford to pay its Director over $240,000, it is unreasonable to believe that it cannot afford to pay $43,000 in city real estate tax. 4). Richmond’s Tax Exemption by Designation Committee recommended AGAINST a real estate tax exemption for Venture Richmond, and the committee sessions generally focused on the amount of executive salaries, revenue sources and any duplication of city services being performed by each applicant. Richmond water rate reformers had been eagerly anticipating the Sept. 17th City of Richmond Department of Public Utilities Report to Council (pursuant to City ordinances 2013-58-77 and 2013-61-79, study performed by DPU with consultant Ratfelis Financial Consultants). A copy of the study was finally earlier this month and is attached to this press release. Disturbingly, the report has not been worth the wait. It lacks substance and appears to be written to support the existing rate structure. At this point, City Council has asked it’s staff to review and make some comments and recommendations for next steps, which suggests that it will consider the issue further in the next budget cycle. Citizens are urged to contact the press and their City Council representative and ask why the base charges cannot be further reduced and why the PILOT for federal tax is still part of their bills.